Sergiy and Sveta live in Chernobyl. 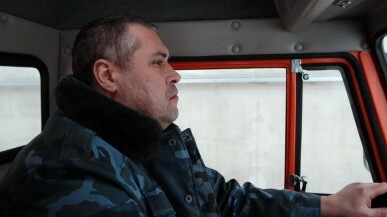 Sergiy is a truck-driver at a radioactive wastes utilization plant. Sveta works at a radioactive decontamination laundry. Their work and their life are dictated by one unchangeable rhythm... Shooting on location in Chernobyl's exclusion zone. 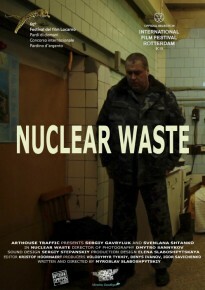 The film "Nuclear Waste" made by Ukrainian film director Myroslav Slaboshpytskiy received a special achievement award, "hors concours" of the 3rd International Uranium Film Festival Rio de Janeiro 2013. According to the festival's jury: "It is a strong, very well filmed short documentary in slow motion about the nuclear order and its impact on the people. 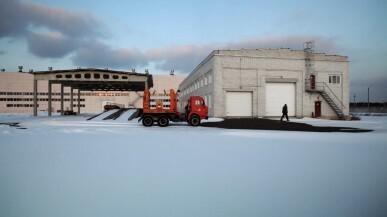 Myroslav Slaboshpytskiy used professional actors to tell the simple story of a married couple living in Chernobyl working in nuclear waste management: An impressive portray of ordinary life in the 30-kilometer Chernobyl zone of today." It was close that "Nuclear Waste" would have received the Yellow Oscar as best short documentary of the Uranium Film Festival this year, but finally the jury selected the new Indian short documentary "High Power" as Yellow Oscar winner of that category.